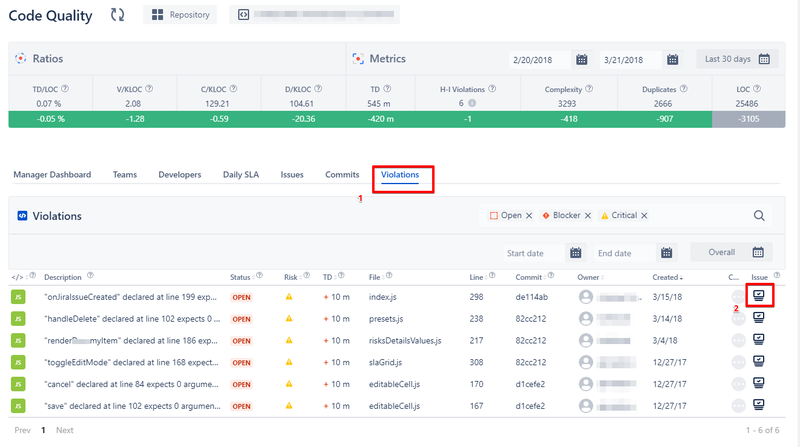 How to create a Jira issue - code quality for jira | how-to's - Code Quality Products @ Diligences Inc.
Possible to create a Jira issue for any of violation in the “Violations” tab. The “Project”, “Issue Type”, “Summary” and “Description” fields will be filled in automatically. 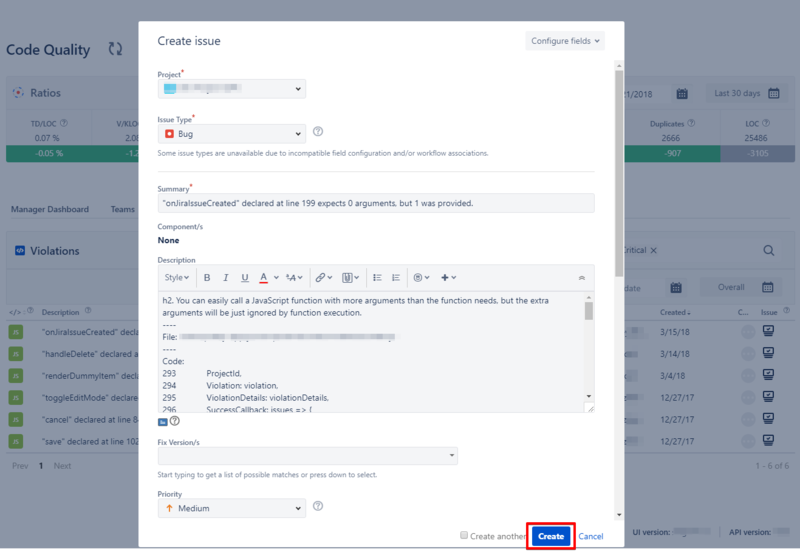 Choose a developer from the “Assignee” drop-down, otherwise an issue would be assigned automatically and click the “Create” button.